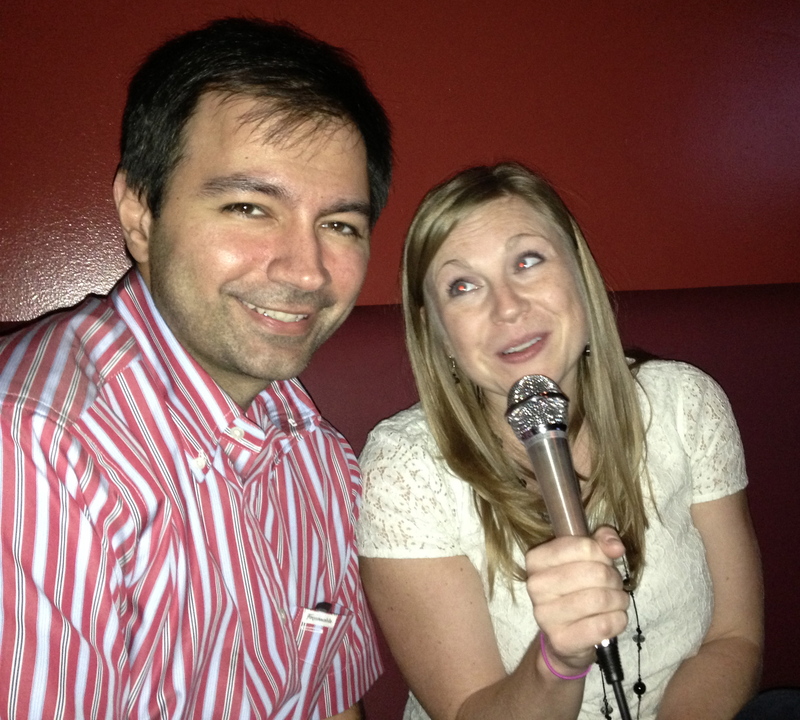 I have another confession to make: I looooooooove karaoke. That picture was taken on a cruise. 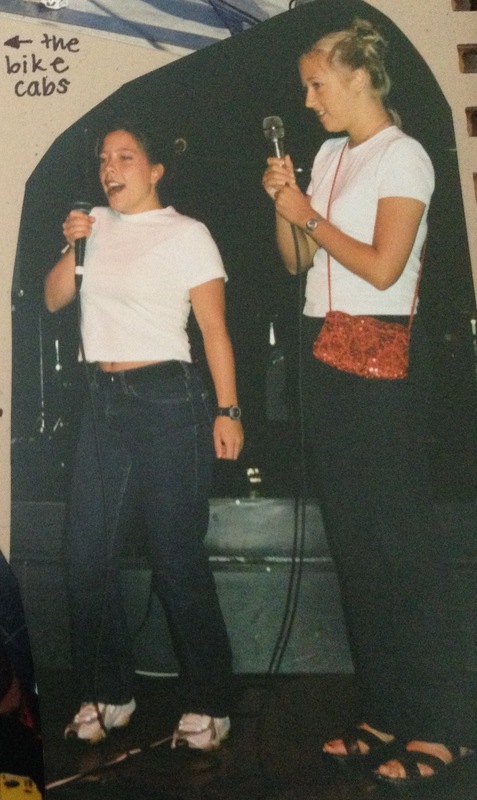 I used to think it didn’t get much better than cruise-ship karaoke . 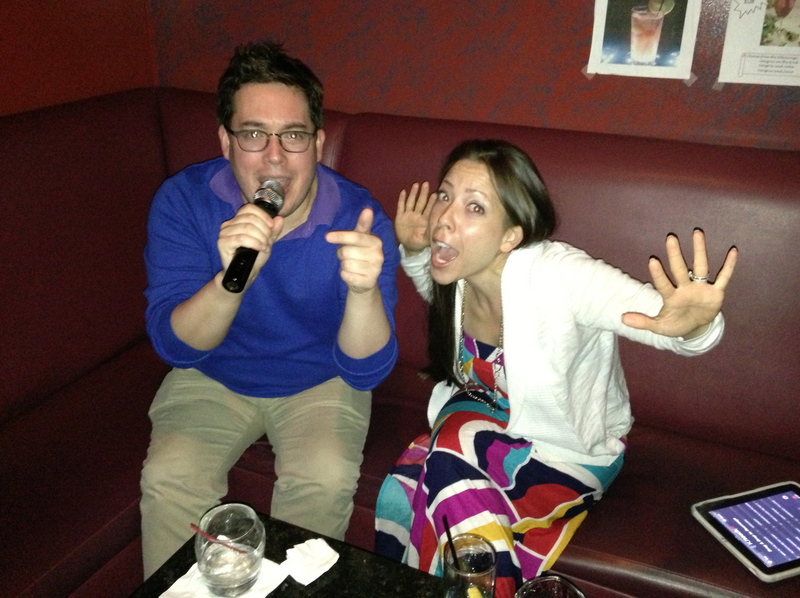 . . but that was before I’d experienced true karaoke. It’s a small room with a couch, a lot of booze, a TV, a couple of mics, and a big ol’ list of songs. 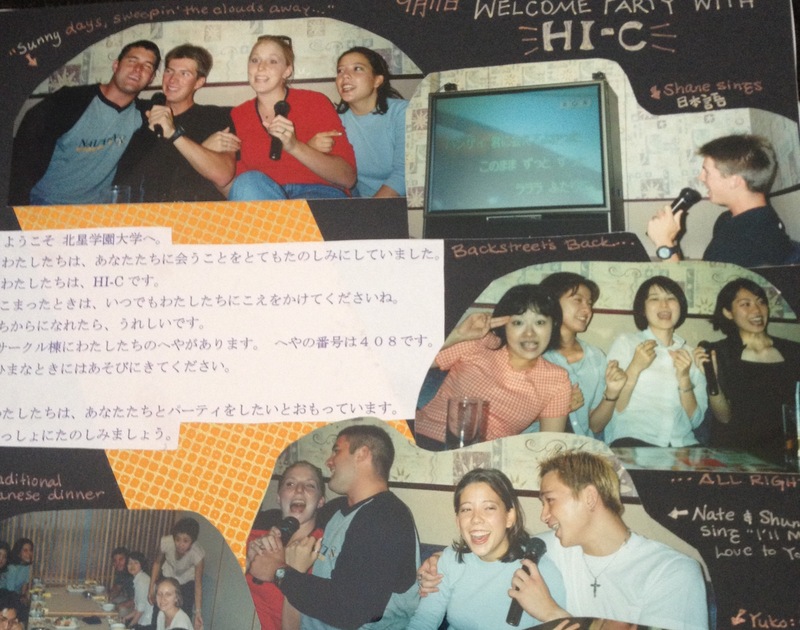 It’s the karaoke to which I was introduced when I lived in Japan almost fifteen years ago, and which I have loved undyingly ever since. 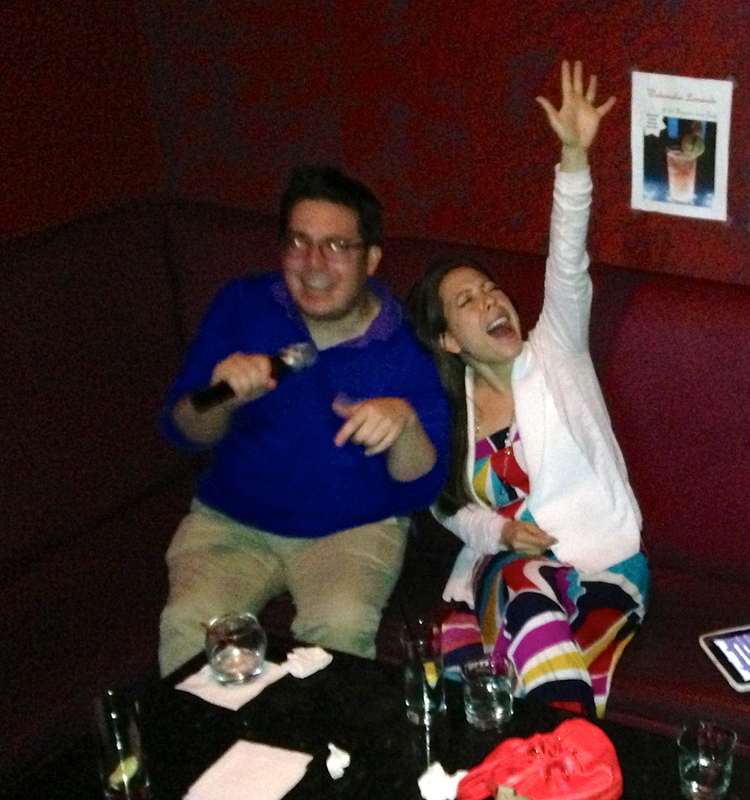 Private-room karaoke is where you have only the best parts of karaoke: your friends and your songs and, of course, all the usual joy and raucousness and embarrassment associated with karaoke. Plus, you don’t have to worry about random people’s bad song choices and bad voices and bad dedications. It’s a delight. 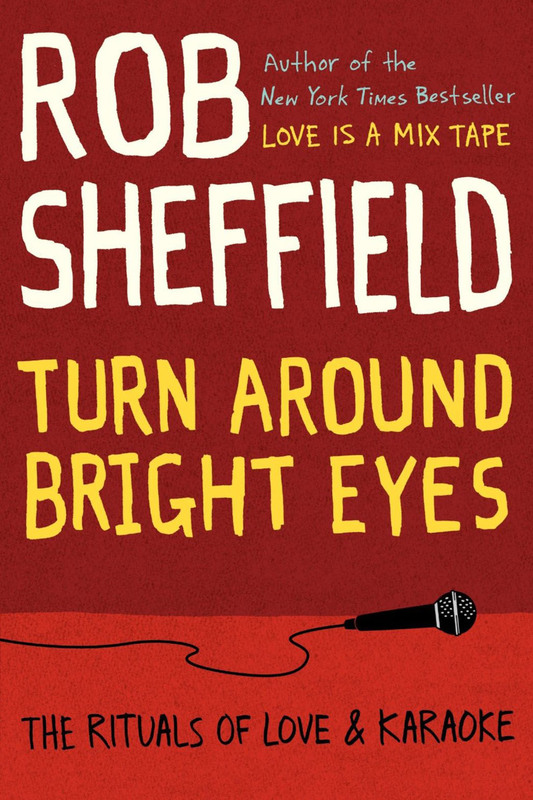 As a long-time lover of karaoke, I was naturally intrigued when I discovered that Rob Sheffield had a new book out about his own karaoke passion. Sheffield writes a lot of pop-culture stuff for Rolling Stone (like this gem on this year’s much-discussed VMAs, which begins delightfully: “Oh, Miley. That was priceless. Miley was the one star in the room who truly understood what the MTV Video Music Awards are all about — waggling your tongue, grabbing your crotch, rocking a foam finger, going to third with the Care Bears, twerking and shrieking and acting out America’s goriest pop-psycho nightmares.”). To say that Sheffield is a music megageek would be an understatement. Then, I found out he was doing a reading at the Decatur Book Festival, and I decided it was a sign. My brother was in town, and we had planned to spend an afternoon at the festival. Plus, my non-book-reading (but avid magazine-reading) husband could even be convinced to go see Sheffield’s reading. It was meant to be. It was time for me to delight in a book all about karaoke. Or so I thought. As it turns out, just because you love karaoke, that doesn’t mean you’re going to love a book about karaoke. From this, I thought we were karaoke soul mates and that this book would be a delight. But then, around chapter 4 (of 27), it starts to go off the rails. 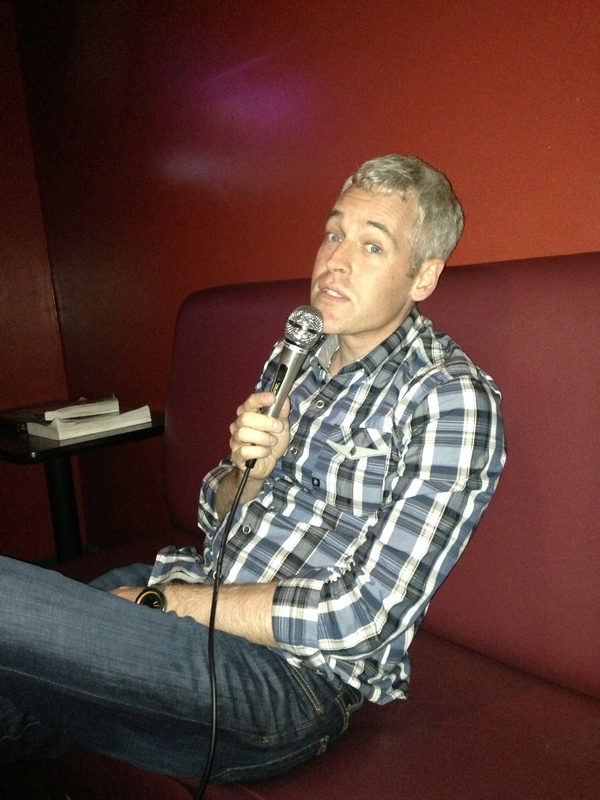 I think Sheffield started with this idealized notion in his head: “I’m going to write a book about love and karaoke.” But, once he got going, he realized he wasn’t going to be able to do an entire book on karaoke . . . so he just decided to slip in some filler and hope no one noticed (um, we noticed). I’m not hating on all of the filler. In fact, some of that filler constitutes the best parts of the book. The best essay in the book, hands down, is “Rock and Roll Fantasy Camp,” which is not even remotely about karaoke. Rock and Roll Fantasy Camp is exactly what it sounds like. A bunch of 50-year-old white guys who wish they were rock stars (and can maybe play a little guitar) go out to California for a week. They audition, are grouped together in bands, practice for a few days, and then have a final concert/competition at the House of Blues. Oh, and the camp counselors are: “Billy Joel’s drummer, Ted Nugent’s guitarist, Peter Frampton’s keyboardist, the bassist from Night Ranger. The dude who sang ‘Bad to the Bone.’ Bret Michaels of Poison. Vince Neil of Mötley Crüe. Sheila E. Like that.” Sheffield can’t play any instruments, so he is the lead singer of his band. He does what his bandmates call “Rob’s spazzy dance,” while giving himself massive purple bruises with a tambourine. It’s pretty funny. On the flip side, some of the filler just isn’t very good. There is one essay about music that reminds him of his dad. There’s another about music that reminds him of his mom. I didn’t care about or for either one of them. Snooze. To say this whole book is about karaoke (or even love and karaoke) would be inaccurate. Rob Sheffield is an unabashed music nerd. That is what this book is about. There are some dreadfully boring essays on musicians (Rod Stewart and David Bowie, to name a couple) that I did not give two shits about. He has some good one-liners and fun, obscure pop-culture references (remember Time of Your Life with Jennifer Love Hewitt and RuPaul? Or MTV’s Blame Game? Rob Sheffield sure does), but there is also a lot of cheese (“Something about [karaoke] opened up doors for me emotionally. For me, it was part of coming back to life.”). A lot of the book feels disjointed. The chapters, which are titled after some of his favorite karaoke jams like “Livin’ on a Prayer” and “99 Luftballoons,” are often really jumpy and all over the place. All of the chapters have something to do with music (not always karaoke), but often one chapter has nothing to do with the next. The result is that the whole book seems sloppy and disorganized. Who should read it: music nerds (i.e., people who pride themselves on their obscure music knowledge and would find an entire essay on Rush interesting). 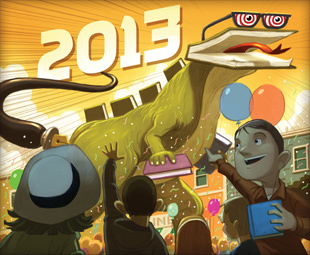 One final note: The book deserves it, but I feel kind of bad giving it only 2/5. Partly because I really enjoyed a couple of the essays (like “Rock and Roll Fantasy Camp”), and partly because there are a lot of Charlottesville references (he got his graduate degree at UVA), so I got a little nostalgic. But mainly because this book inspired the most fun I’ve ever had preparing for and drafting a blog post. 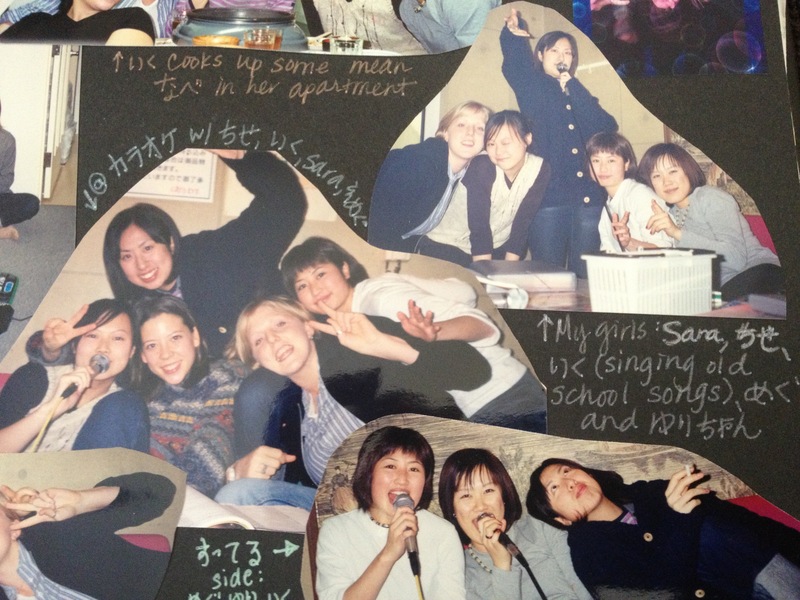 You can’t read a book about karaoke without being inspired to go do some karaoke. Well, I can’t, anyway. This entry was posted in Rating: 2/5 and tagged Book review, Books, Karaoke, Rob Sheffield, Turn Around Bright Eyes. Bookmark the permalink. Pingback: I Know What You Should Read | Mark Your Calendars for the 10th Annual Decatur Book Festival!